Below are some useful college planning resources that will provide basic understanding of some key components of the college planning process. Some of the resources below are grouped by subject matter such as Admissions or Loans & Financial Aid, while others are general to the college planning process. 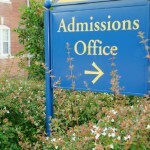 Completing college applications and navigating the admissions process is a very important step in the college planning process. Our resources that will help you gain an understanding of some of the key components of the college admissions and application process and the importance of doing it with precision. It goes without saying that the college experience has become very expensive, in fact it has become so cost prohibitive that college would be out of reach for many families without access to student loans and financial aid. 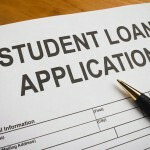 That being said, if you are not familiar with the variety of loan options, and free money alternatives that are potentially available to prospective students, these resources will be very educational. Below are some useful college planning links from other sites from across the web that you may find helpful when planning for college for you or your child. Note: we are not responsible for the content provided at the sites below, and cannot guarantee their accuracy or timeliness. These resources will be updated with additional college planning videos and educational documents over time so stop back and visit periodically.